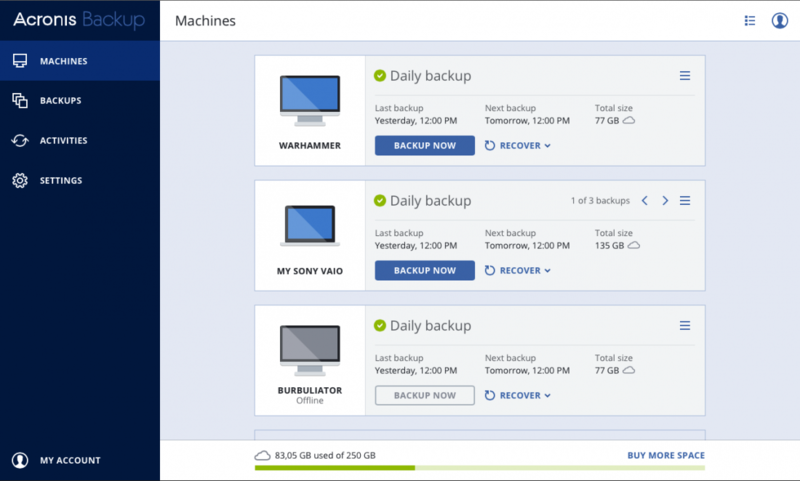 Acronis Backup Server provides a local and cloud backup and recovery solution. It enables a best-in-class solution that addresses your customers’ data protection needs and provides you with a solution that is easy, complete, and safe. It solves business data protection challenges with a complete and easy-to-manage service that backs up any data from any source and recovers to any destination or system. Acronis Backup Server operates in a fully automated way, offers unrivalled ease-of-management and supports various operating systems. It offers you the peace of mind that comes with the knowledge that your data is safely stored at all times. The Backup Server Product Sheet provides information about product benefits, online backup features and target market information. Looking for a desktop backup solution?